The United Nations High Commission for Refugees has mothballed 10,000 of IKEA's award-winning refugee shelters over concerns about the product's vulnerability to fire. Only 5,000 of the 15,000 shelters that UNHCR bought in 2015 have been deployed, meaning that two thirds of all shelters manufactured, worth a total of $12.5 million, have yet to be used. "In late 2015 the Swiss and German authorities raised concerns around the fire safety of the shelter," said Tapio Vahtola, who leads the Strategic Partnerships department at the UNHCR. "Safety is of course an absolute priority and following the concerns raised, UNHCR and Better Shelter engaged in a comprehensive process of analysing the results and ensuring the safety of the product through improving the panel design." The new version of the shelter will feature stronger, lighter and cheaper cladding panels while existing units will now be deployed according to stricter spacing guidelines. "We are introducing guidelines in order to improve the safety distance between units in camp settings and to minimise the risk of fire spreading between shelters in the case of a fire starting in a settlement," Vahtola said. He added: "It is important to highlight that the shelter is not fire hazardous. It is fire retardant, but as with any other building or tent it will not withstand flames from an uncontrolled fire." The flat-pack shelter won the Design Museum's design of the year award earlier this year and is part of the permanent collection at New York's Museum of Modern Art. Evidence of design flaws "left out of report"
The UNHCR's admission came as humanitarian designer Cameron Sinclair claimed that design problems with prototype shelters were identified during field trials in 2014 but were left out of a report "for fear of losing funding". "A team of us in Ethiopia had done an independent analysis of the structures in 2014 and expressed our concerns to both Better Shelter and the IKEA Foundation," wrote Sinclair, who is former co-founder of Architecture for Humanity and now heads Airbnb's humanitarian team. "We only learned of the issues late night when one of the NGO [non-governmental organisation] field engineers that was responsible for the pilot programme mentioned what they left out of the report, for fear of losing funding, and had a jump drive of images that weren't shared." Sinclair posted one of the images alongside his comment. The photo shows a joint in the internal metal-tube frame of a prototype shelter held together with plastic bags, which were applied by refugees in an attempt to stabilise the unit. He said he passed on his concerns to IKEA Foundation and Better Shelter by email. "We were not aware of this, and neither are we aware of any involvement by NGO partners in reviewing the shelters when they were tested," said Tapio Vahtola. "No NGO has been responsible for any pilot programme. UNHCR has always had dedicated staff overseeing the testing and piloting the shelters." Vahtola added: "I believe this comment refers to the small scale pilot in Dollo Ado, Ethiopia [where] the ones providing crucial inputs to our testing and piloting were refugees themselves." 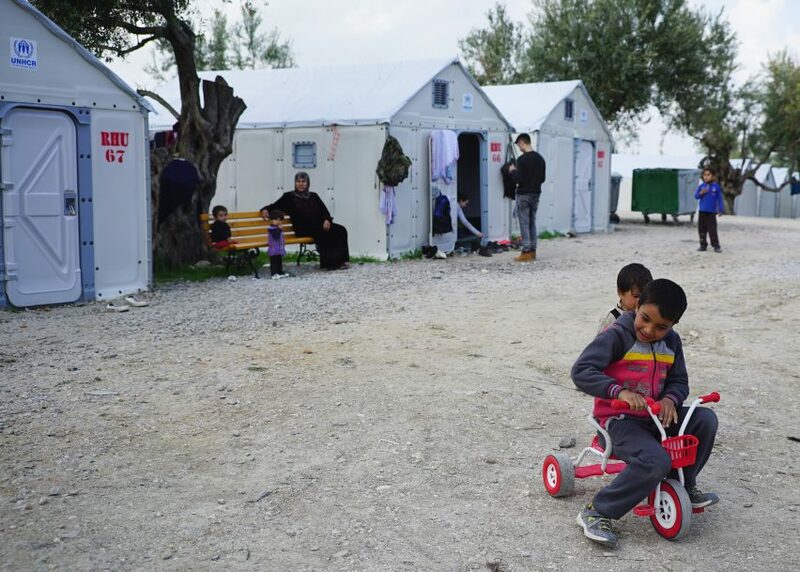 It has also emerged that the Centre for Refugee Studies at the University of Oxford is studying the shelter's performance as part of its Architectures of Displacement research project. Professor Tom Scott-Smith, who is heading the project, said he too had heard reports of problems with the shelter. "There are a variety of criticisms about the product and we've been researching its history and use for a while now," he said. "It takes four hours to assemble, it doesn't have a groundsheet and it's not modular as it should be," Kleinschmidt said. "There have been complaints about the wind going through. It doesn't take into consideration that people like to adjust the space themselves and that is part of their dignity." The raised door sill means the shelter is not accessible for wheelchair users, an issue Better Shelter said it would be addressing in future. Tapio Vahtola defended the UNHCR's methodology in a statement sent to Dezeen. "I believe that it is important that UNHCR continues to challenge itself, and the partners it is fortunate enough to work with, to constantly improve the products, services and process we employ to provide refugees with protection and assistance, and ultimately, to help them to live more dignified lives," he wrote. "One way that we do this is through innovation, and through partnerships, with among other organisations, Better Shelter. The very nature of innovation and new product development project implies improvements are required along the road, iterations based on experience, on end-user engagement, and on robust data, but underlined by a commitment to try to constantly improve. "As an organisation, we encourage inputs, observations, and constructive criticisms and critiques, as in most cases, this helps us to improve how we work. In this case, the continued commitment to improving the product should be the real testimony of the value of the project, that is informed in part by for example, positive end user experience, as the one described by the refugee quoted in your story." Better Shelter praised for "being so open"
"Kudos to the Better Shelter team for being so open in the initial challenges with the housing design," he wrote. "Better Shelter and IKEA were extremely receptive in receiving honest feedback and did an excellent job in following up. Given [Sinclair's own architecture firm] Small Works was working on re-deployable housing at the time, they could have been dismissive."